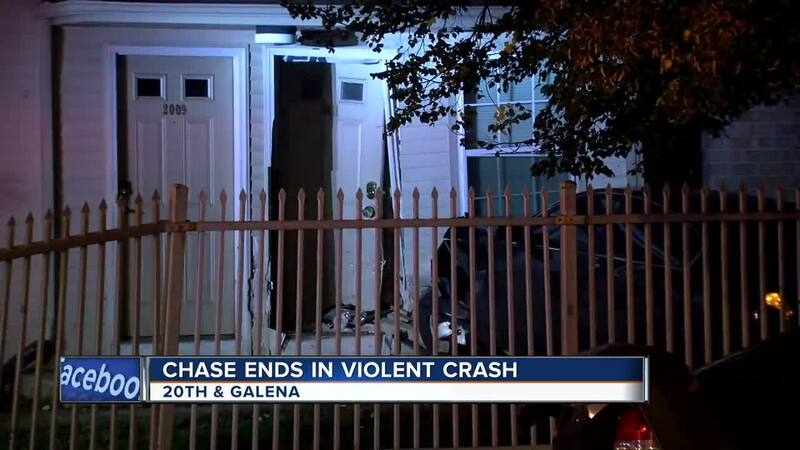 A violent crash on Milwaukee’s west side forces a pregnant woman out of her home. This happened near W. 20th and N. Galena. MILWAUKEE -- A violent crash on Milwaukee’s west side forces a pregnant woman out of her home. This happened near W. 20th and N. Galena. 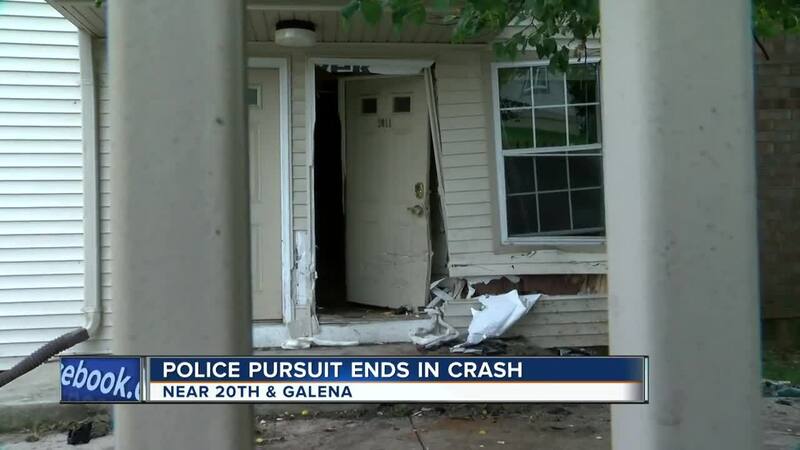 "[The car was on my doorstep] and under the car was the gate and it was just sitting here, and I’m like this is ridiculous," Lakaisha Huff said. The crash forced Huff and her two-year-old baby out of bed. She's also seven months pregnant and now she’s out of a home. “Right now they’re taking me to a hotel, but other than that, they keep telling me that I need to find somewhere to go and I’m like, well I kind of have nowhere to go,” Huff said. According to police, the crash is the result of a police pursuit that happened around 2:30 Wednesday morning. Officers attempted to stop the driver of a Black Ford Focus, but the driver sped off hitting another car — plowing it through the fence and into Huff’s front door. “[It's] very scary because I’m pregnant, I have a two-year-old and lord knows that my bedroom is right above this door and the whole house could’ve collapsed," Huff said. One person is in custody as police continue to investigate.